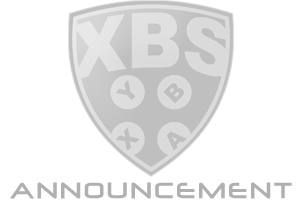 Official signups for XBSHL Season 24 are open! If you already completed the early registration process, you will be added to the scoreboard’s Free Agent list shortly. No need to register again. However if you want to save me some time, feel free to do it . For new registrations, please proceed to the scoreboard and use the ‘Sign Up!’ Button at the top-left. 1) Make sure you check the box ‘remember me’ when logging into the forums. Saw some issues (with cookies) when going to the scoreboard without checking that box. 2) It was said before but there will be a check-in process before the draft. Even if you signup on the scoreboard, you will have to check-in. With the amount of new members we have to make sure we don’t draft members that vanished. Also please be specific as possible with your availability and in the additional comments section of your player card as far as anything an owner would need to know before drafting you. Turned out I forgot to sign up. Fixed that. Woohoo lets go. All signed up again. DeBrusk x74x- RW/LW ACTIVATED AND READY FOR UPCOMING 2019 SEASON.